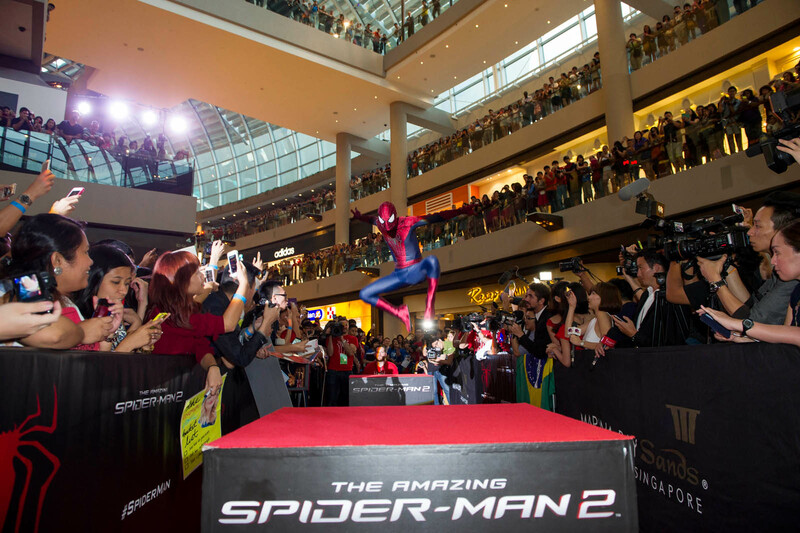 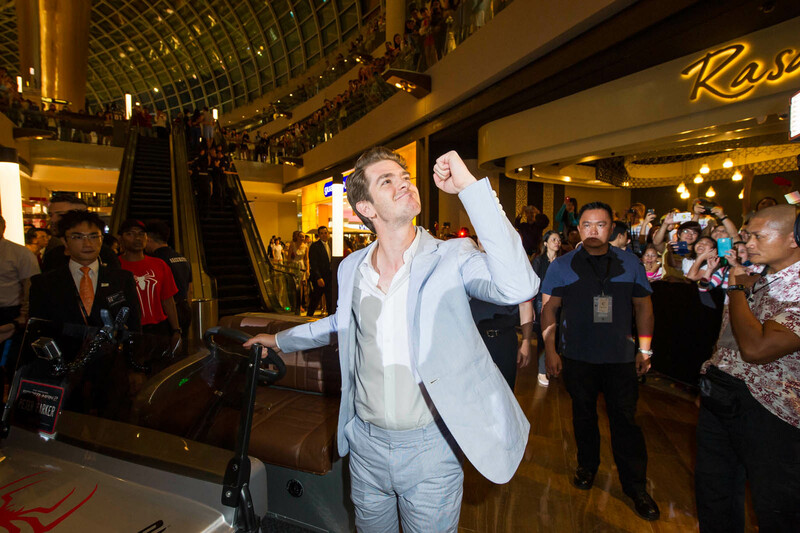 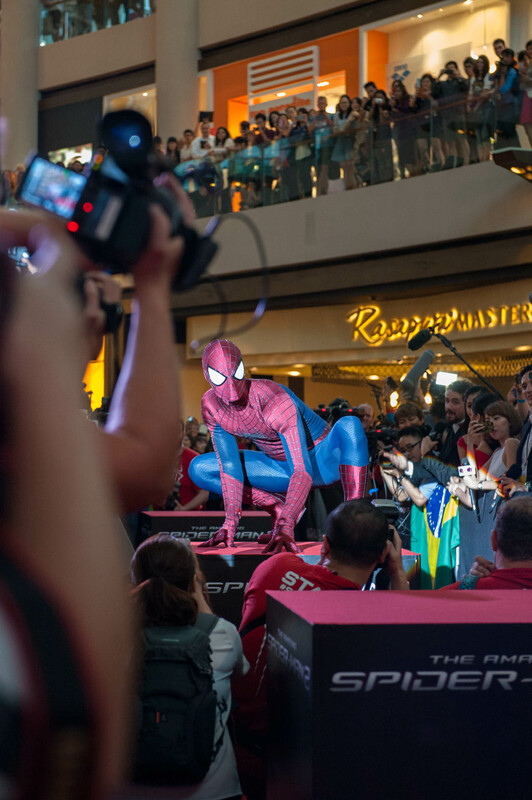 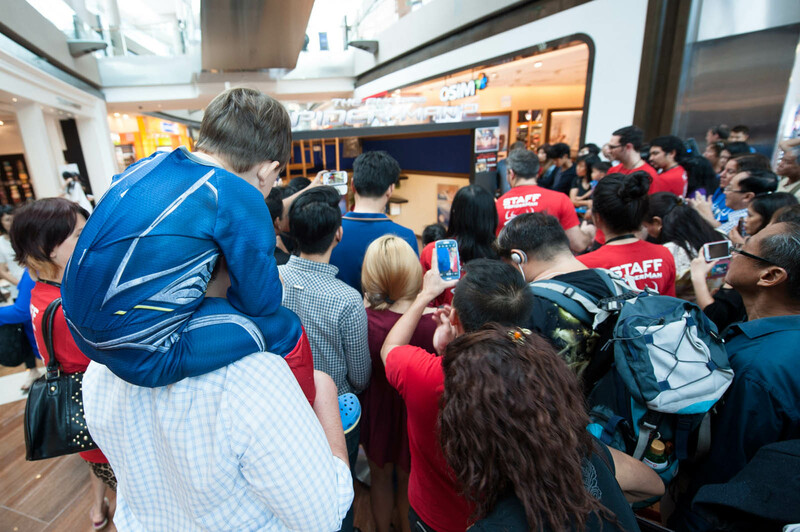 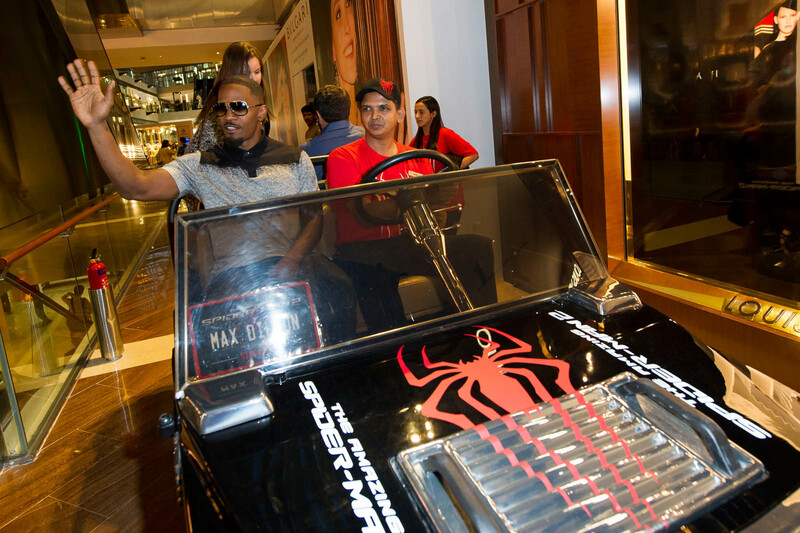 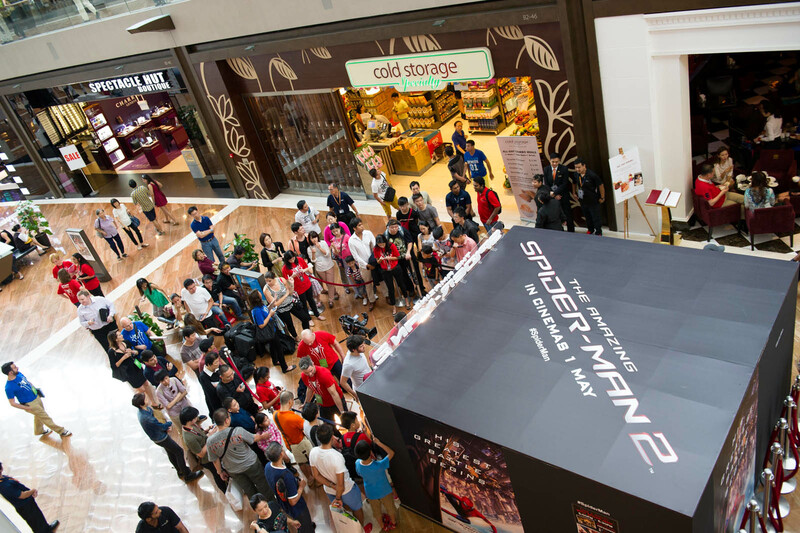 SINGAPORE - Thousands of enthusiastic fans yesterday gathered at Marina Bay Sands' Skating Rink and MasterCard Theatres to catch a glimpse of The Amazing Spider-Man 2's cast, who arrived in Singapore for part of the film's global media event. 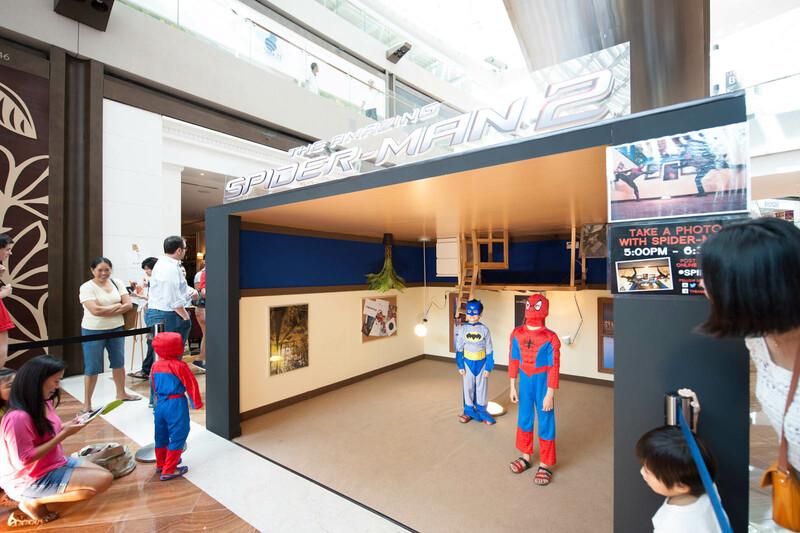 A specially constructed inverted room at The Shoppes allowed for unique photo opportunities, as the public appeared to be suspended from the ceiling. 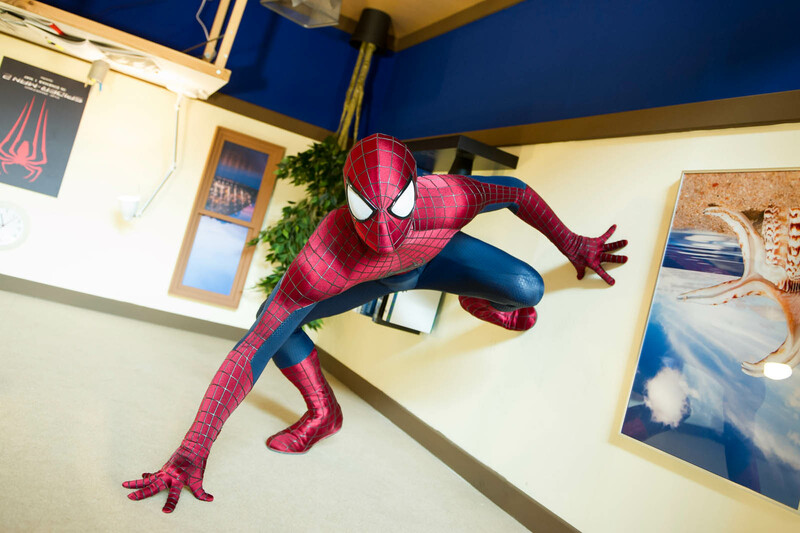 Spider-Man also made a special appearance in the inverted room, and sprang into action on the red carpet. 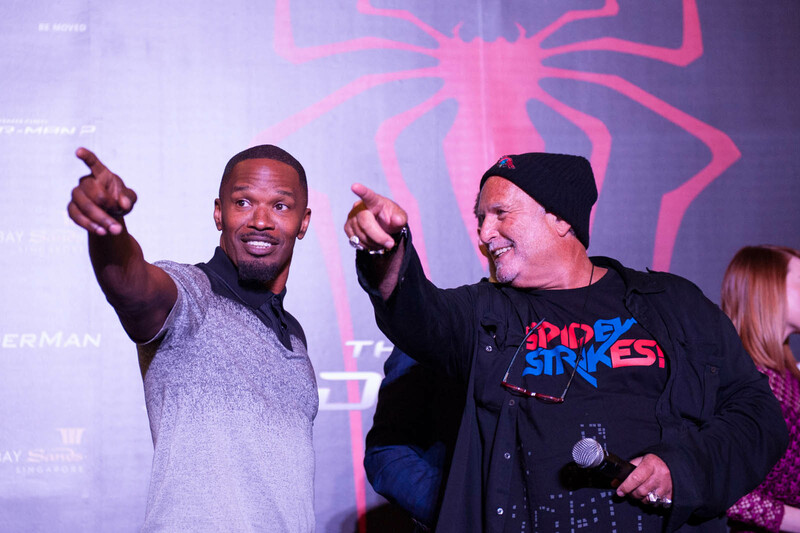 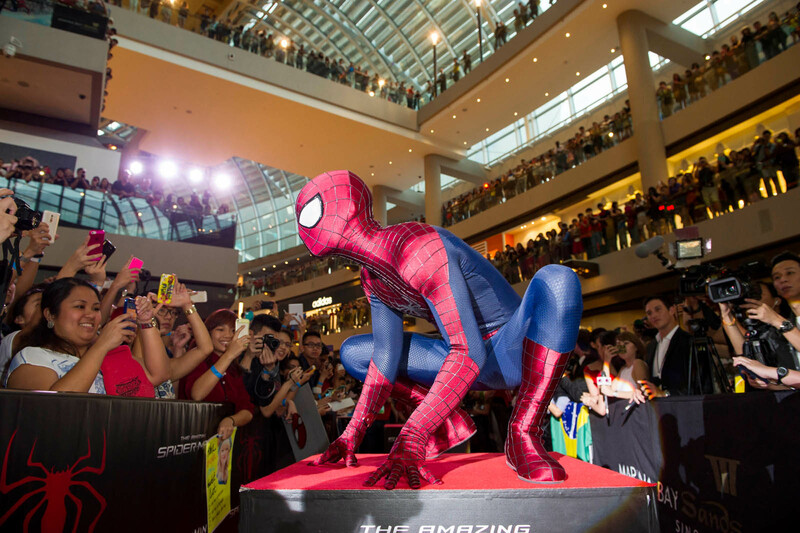 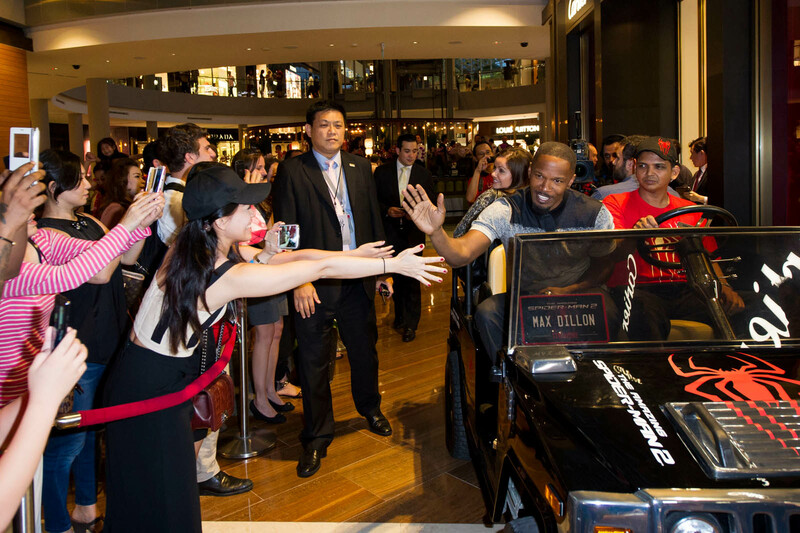 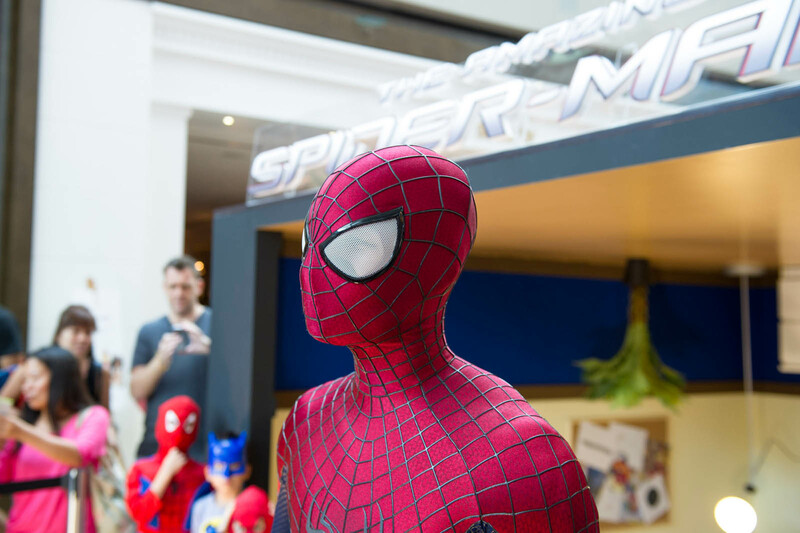 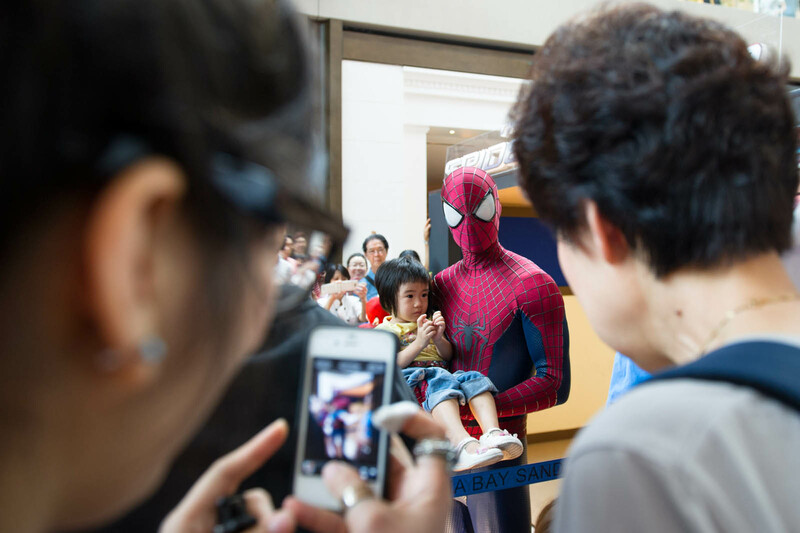 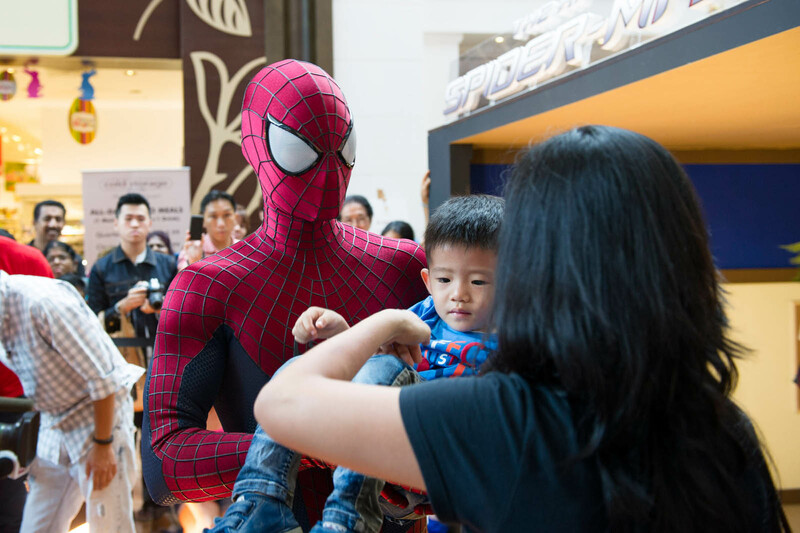 Marina Bay Sands' Corporate Social Responsibility programme, Sands for Singapore, provided the youths an exclusive opportunity to see the stars up-close and they were thrilled to meet their favourite superhero in real life. 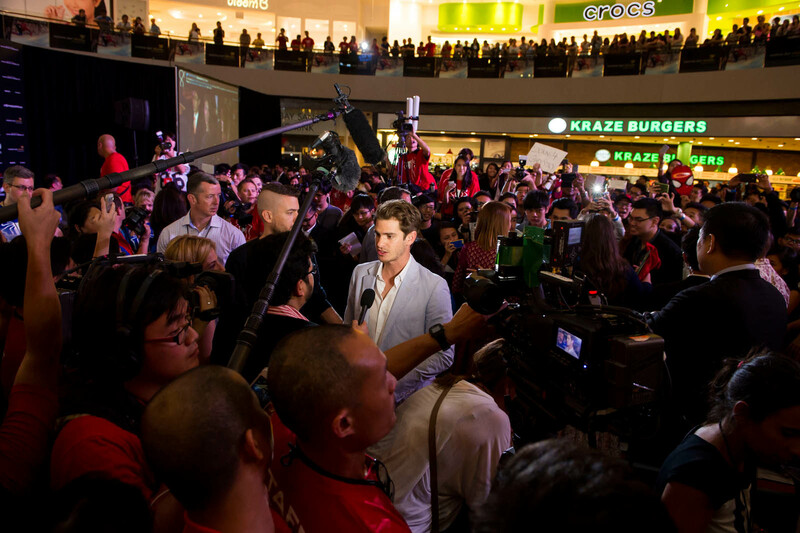 "Thank you Sands for Singapore for inviting us to this special event! 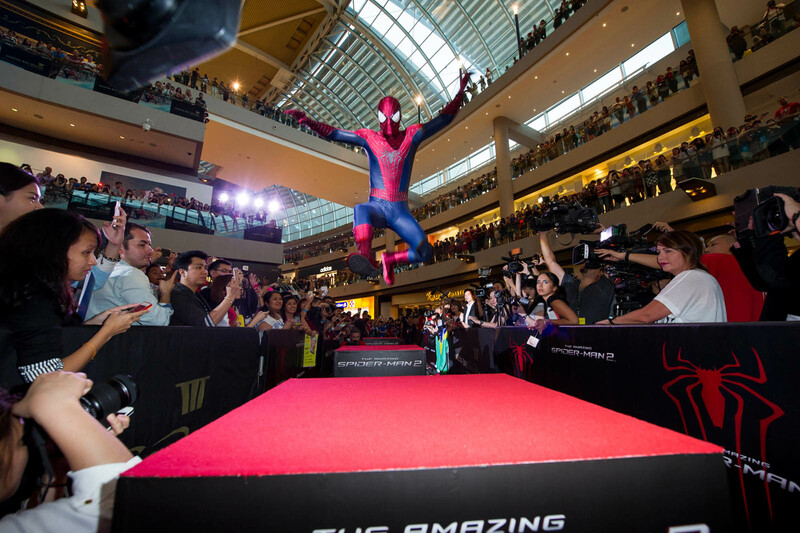 I have always watched Spider-Man on TV and I am really excited to see him in person at Marina Bay Sands and be so close to all the stars in the movie. 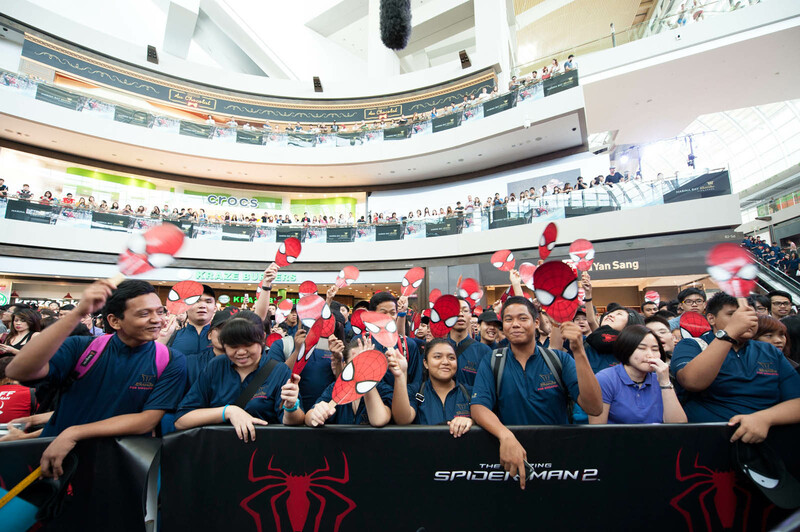 I really love the Spider-Man mask and hat they gave us so that I will always remember this event," said Muhammad Syazwi Bin Hasan, 17. 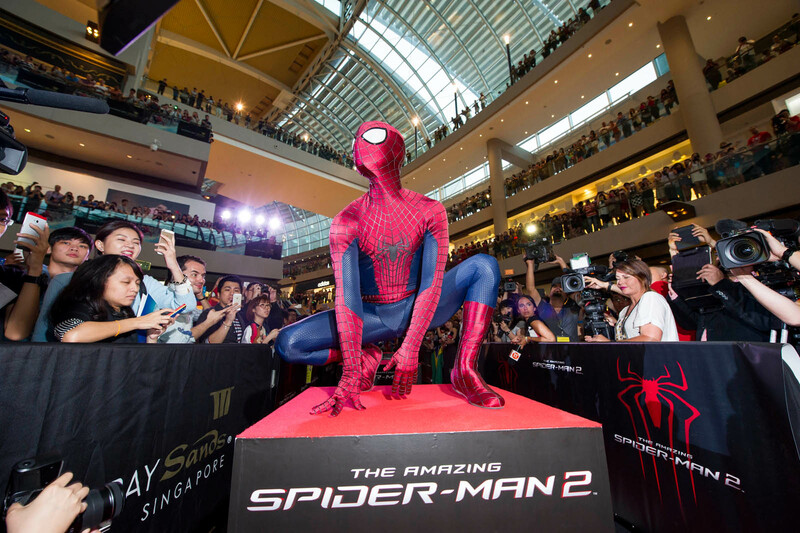 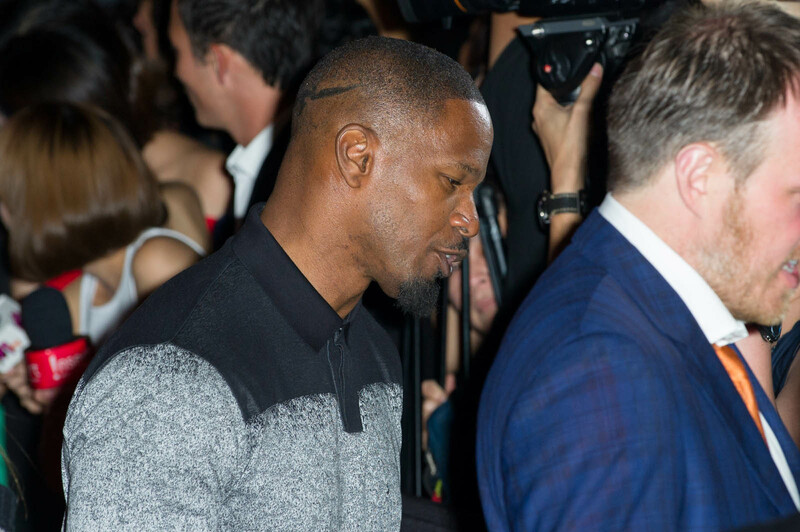 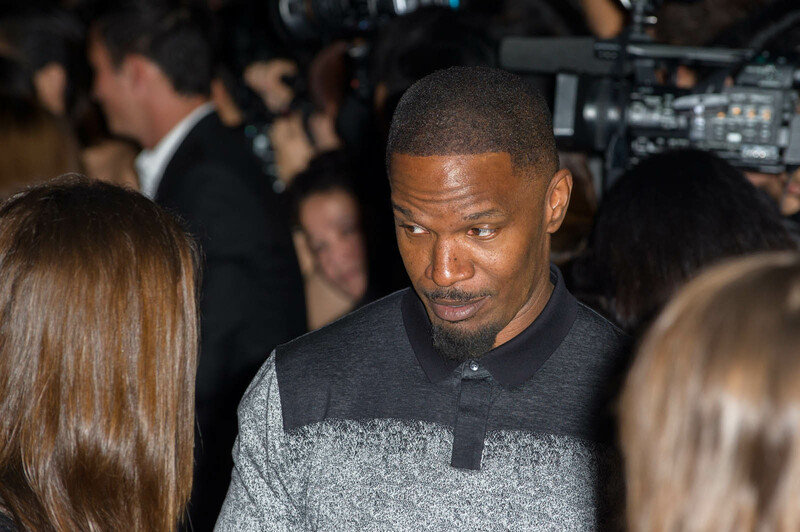 This is the first global film event for a Hollywood movie to be held in Singapore and at Marina Bay Sands. 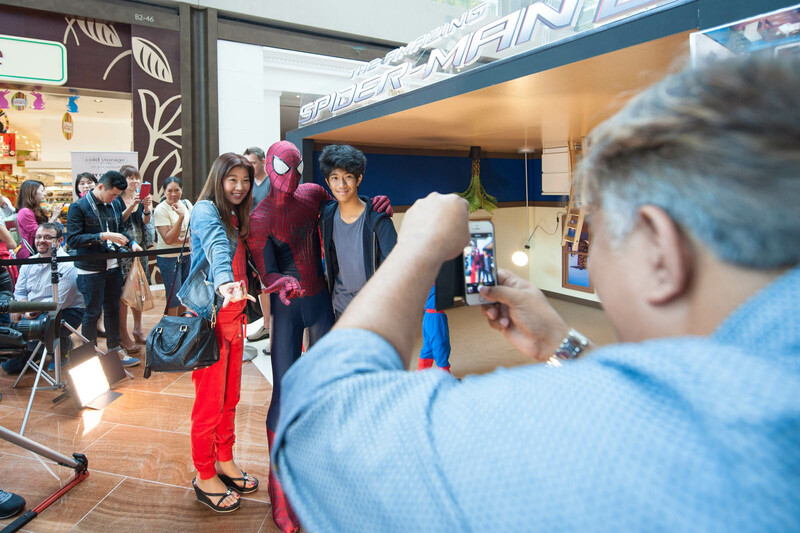 It joins the past star-studded line-ups of other renowned movie premieres that have been held at the integrated resort. 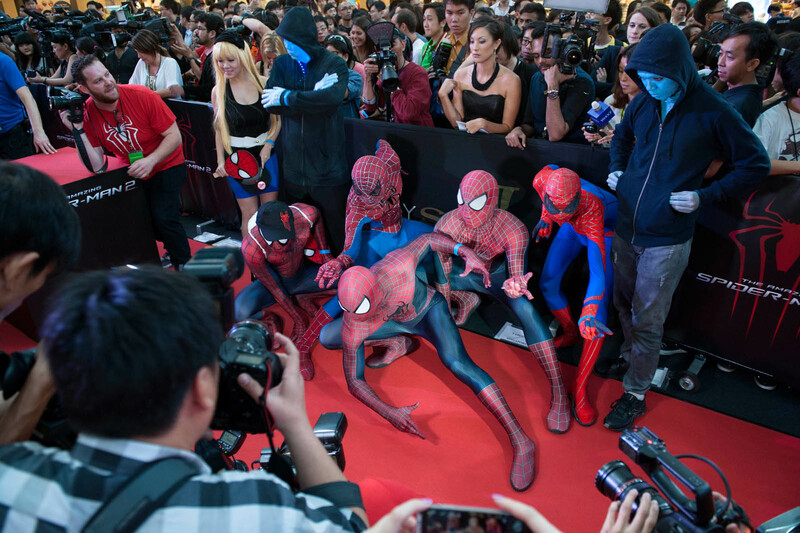 The Amazing Spider-Man 2 will open in cinemas on May 1.